Here’s why your small group exercises don’t work–and what to do about it. This month, I’m doing blogs on teaching–specifically, how to change it up and quit lecturing your way through the day. 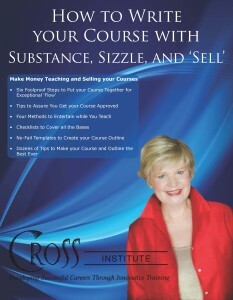 I know we have thousands of dedicated real estate instructors. But, we seem to have thousands of bored students! Why? Because most of our courses don’t have a variety of teaching methods built in. So, in this series, I’ll help you build in ‘relief’ from that awful, boring lecture and change it up to keep your audience interested and learning. In the previous blog, we explored the ‘divide and conquer’ method of teaching. One of the configurations of the ‘divide and conquer’ is the task force: Small groups of people working on a common problem. In this blog, I’ll show you a few things to do with that task force to assure it goes right. Most of these principles would also apply to dividing people into groups, too, for role play and other small groups. See my 12-point checklist to use every time you’re going to launch a group exercise. You’ll find this invaluable! How do I know? I’ve made every mistake you can make on these, and have learned how to avoid mistakes and make the small group go well. 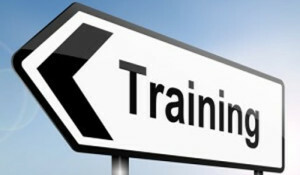 Gain Advanced Teaching Skills Now! Polish your presentation skills: three quick, effective tips to make all the difference in your impact. 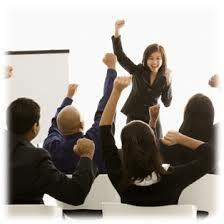 Managers, trainers, salespeople, and even a�?real peoplea�� present frequently in front of one–to hundreds of people. Unfortunately, most presenters (yes, you become a presenter when youa��re selling! 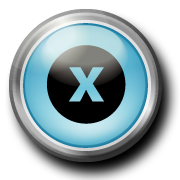 ), arena��t trained with the best presentation tools. Instead, they just a�?wing ita��. 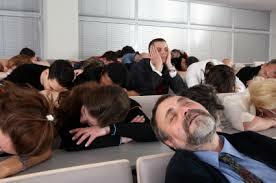 So, we in the audience (or your clients) are frequently bored silly. It doesna��t have to be that way. Take a look at the three tipsa��tips Ia��ve learned first as a musician, then as a speaker, in front of hundreds of people. These tips will make your next time in front of a few a��or manya��enjoyable, memorable, and equally enjoyable for your audience or client. Don’t lecture for more than 10 minutes. Adults just don’t have that long an attention span (too much on our minds!). Change it up. Use various “alternative delivery methods”–methods to teach other than lecture. 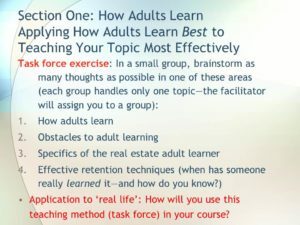 In myA�Instructor Development WorkshopA�course, I help students learn these teaching methods by modeling them so they can observe me teaching. Then, we de-brief on what we did. Finally, each student teaches a short module using creative methods, and the rest of the students provide feedback. (We really only learn when we do something).A�DoingA�greatly increases confidence–and competence. Question: If youa��re in sales or management: Are you talking through your listing or recruiting presentation because you know a lot? How long will it take until the person in front of you gets a�?glassy eyesa��? Prepare students or your clients to learn something new. For example: Use a ‘true-false’ or ‘multiple choice’ to start the presentation, or to check learning. 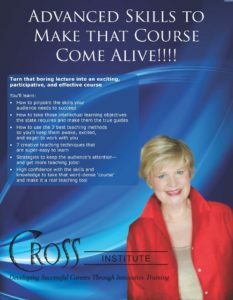 I do this in myA�Instructor Development Workshop courseA�in the middle, and ask students how they would have answered at the beginning of the course–and then contrast that with their new perceptions and learning. It creates lots of ‘ahas’ with them, and further cements their learning experience. Tip: If youa��re in sales: Use a fun true-false survey for sellers to use prior to meeting you. It can have lots of fallacies and misinformation, and will set up your presentation to help sellers get the real facts and make the best decision for them. 3. Don’t just read from the PowerPoint on the screenA�(and, just as onerous, provide the student with the PowerPoint as the “outline”.) If an instructor does that, I feel I want to just take that outline and leave. I can read, thank you! Too many presenters/trainers rely on PowerPoint to do the teaching. Instead, invest in a a�?pointera�� that allows you to make the screen blank. Remember: YOU are the presenter, not your Powerpoint! 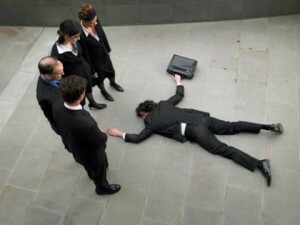 Tip: If youa��re in sales or management: Dona��t just drone on from your presentation manual. (thata��s your Powerpoint in this instance.) Instead, Use questions, handouts, pauses, and summaries to give your presentation contour and interest. A�Most presenters/trainers arena��t in it for the big bucks (where are those big bucks, again?). Theya��re in it to assist others. Gaining and practicing presentation skills helps us give back better. The bonus: Deep appreciation from our audience or your client. Wea��ve even been known to change lives for the better! No amount of money can provide that sense of accomplishment. 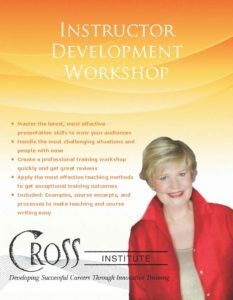 Carla’s next innovativeA�Instructor Development WorkshopA�is coming up May 22-23, 2018 in Bellevue. Washington.A�Click hereA�for specifics. 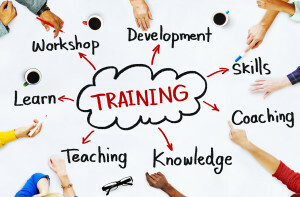 Take a look at Carla’s comprehensive training resource,A�The Ultimate Real Estate Trainera��s Guide,A�and her presentation resource,A�Knock Their Socks Off: Skills to Make Your Best Presentation Ever.A�A�See all her coaching and training resources atA�www.carlacross.com.